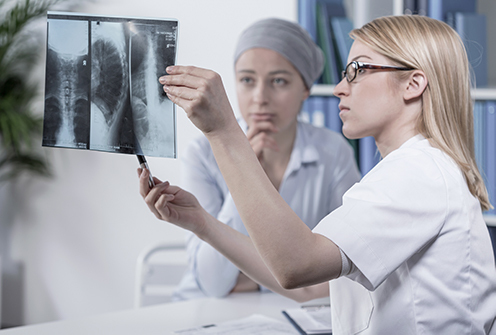 Why Outsource Medical Billing and RCM for Your Oncology Practice? When patients see an oncologist, they are often already dealing with health and financial hardship. That combination means that physicians must spend more time with each patient, while also facing increased potential for reimbursement issues related to under-coding or over-coding. Outsourcing oncology medical billing and revenue cycle management processes like compliance audits to a billing partner who understands the distinctions between consultation and a new patient visit, as well as correct use of prolonged service codes, insurance covering clinical trials, and codes for specific procedures like transplants, can help maximize reimbursements and minimize claim denials. Precision has years of experience working with oncology practices on medical billing and revenue cycle management. Our staff understand the intricacies of oncology coding and can help with issues like authorization requirements for approved drugs and treatments. Additionally, PPM provides reporting and periodic compliance audits to ensure appropriate coding for the levels of service provided, which can identify and help solve problem areas. "Precision has been providing medical billing services to our 4 physician oncology practice for several years now, and they have consistently done an excellent job for us. Despite the many changes that have occurred in our practice over the years, Precision has always worked with us proactively through those changes for best possible results. They custom-developed software that has helped us greatly with claim denial management and also with managing patient balances. They are a great asset to our back-office team."